Ensure that all your spring promotions are a success by livening up your store thanks to these 5 ready-to-use designs that have been translated into 8 languages! In this pack, find everything you need for your mother's day, spring sales, Mermorial Day and for all general promotions in your store. No need for a graphic designer! Save on design costs and the time spent creating your graphics thanks to this pack! The visuals are provided in .psd (to customize the text and promotion dates) and .png formats for the slideshow of your PrestaShop store. Easy international selling: all the designs have been translated into English, French, Spanish, Italian, German, Dutch, Polish and Portuguese. Be ready for all major e-commerce periods! 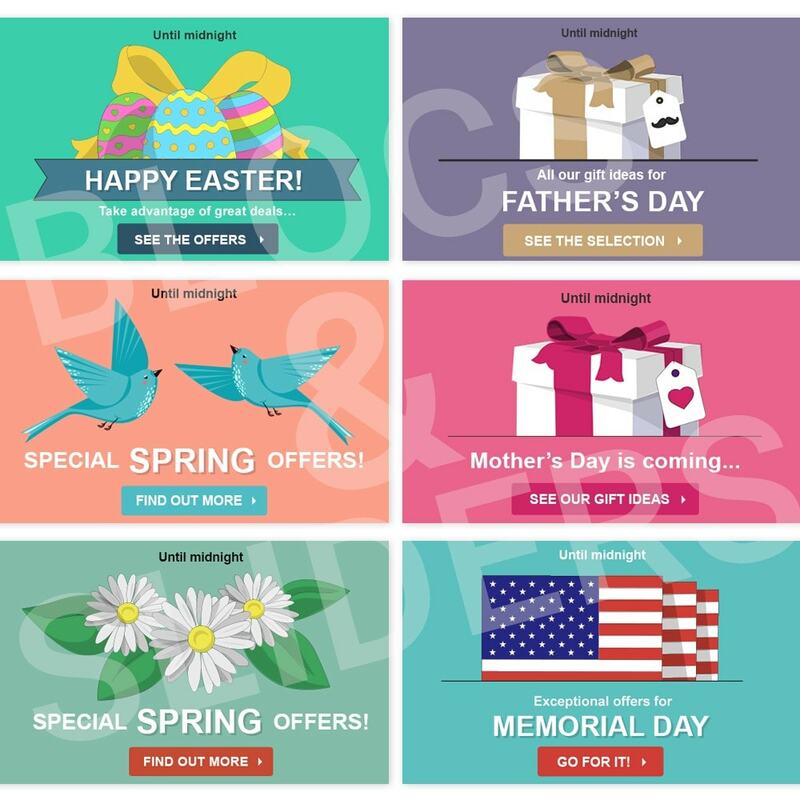 Includes 5 graphics for the slideshow of your PrestaShop store for: mother's day, spring sales, Mermorial Day and for all general promotions in your store. 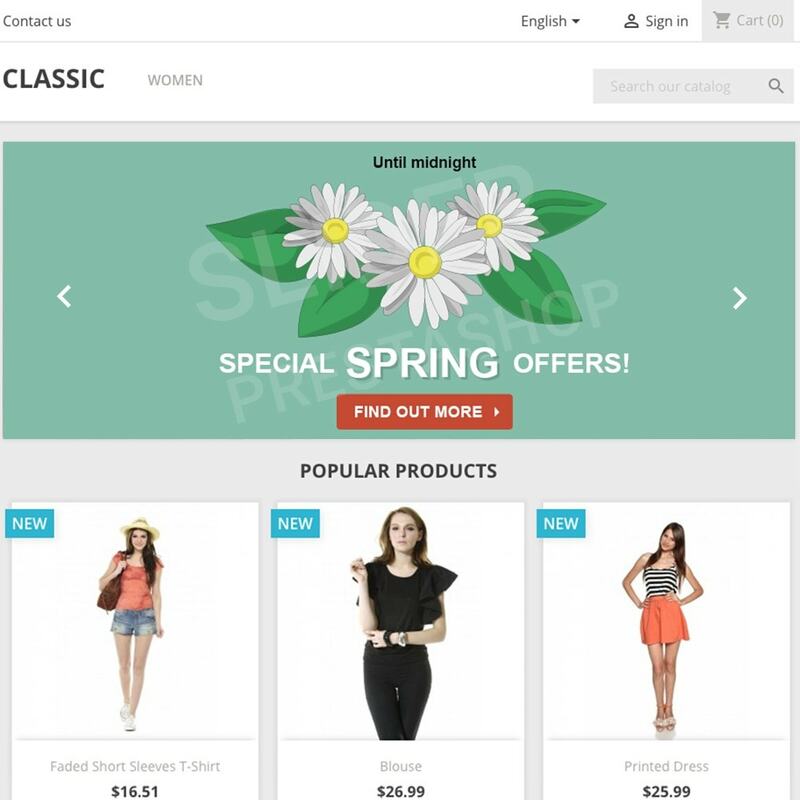 The graphics included are ideally suited to the 1.7 default theme of PrestaShop. If you use another theme, simply crop the advertising boxes and images in this pack.